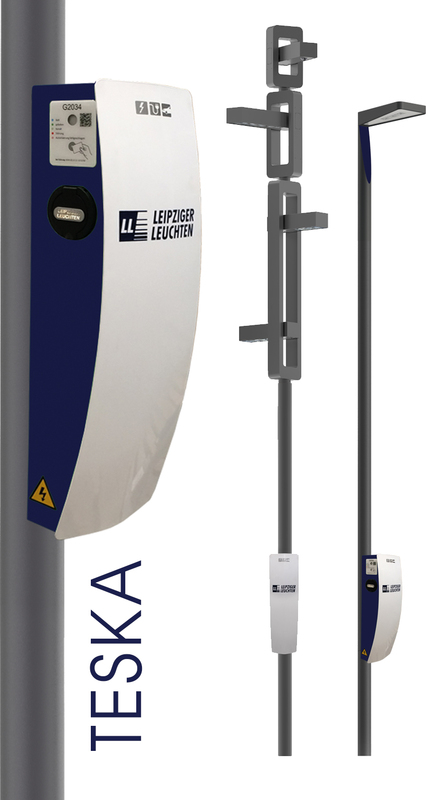 With the charging station KARSTEN and TESKA for electronic cars, LEIPZIGER LEUCHTEN expanded its product range concerning street lighting with a charging module. 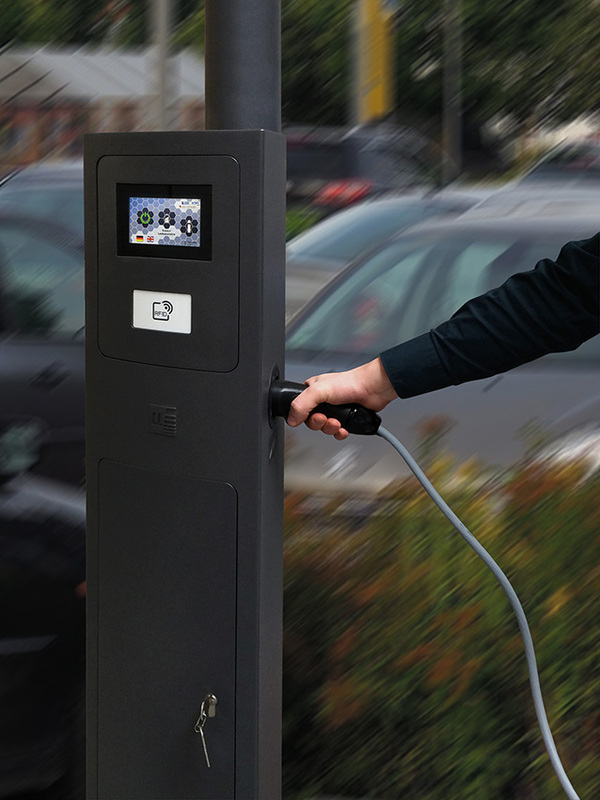 We produce and deliver charging stations, including the software, software maintenance is upon request. 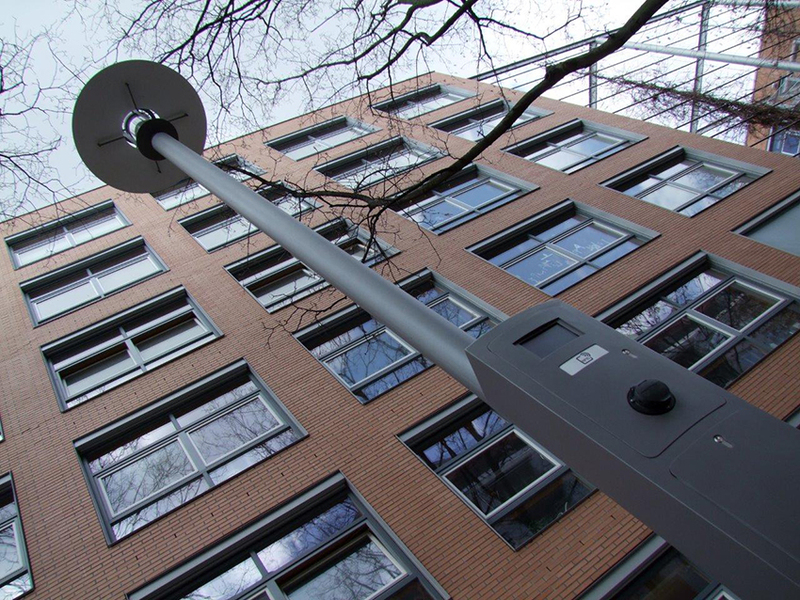 We re-equip your existing street luminaires with a charging station module, if the infrastructure allows it. It would be a pleasure to advice you in all aspects. 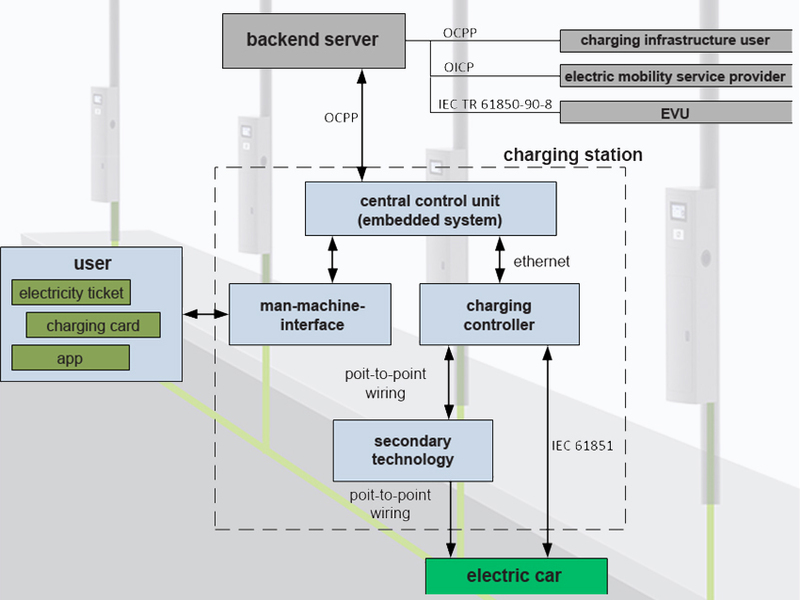 The functioning of the charging station KARSTEN and TESKA is easy: the modular system enables the purchase of a charging station with or without billing system and calibrated electricity meter, or even with or without display. 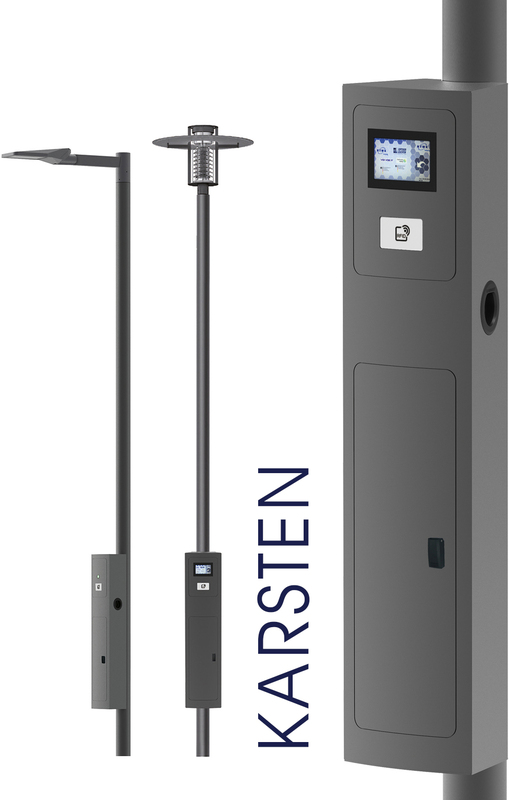 If the user choses a station with touch display, he has also the choice of up to three payment systems. 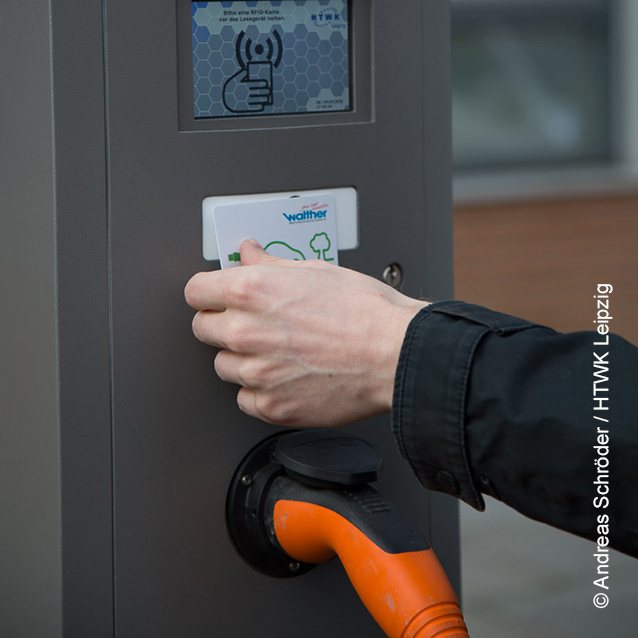 The driver needs a charging card, a ticket code or a QR code for the verification. 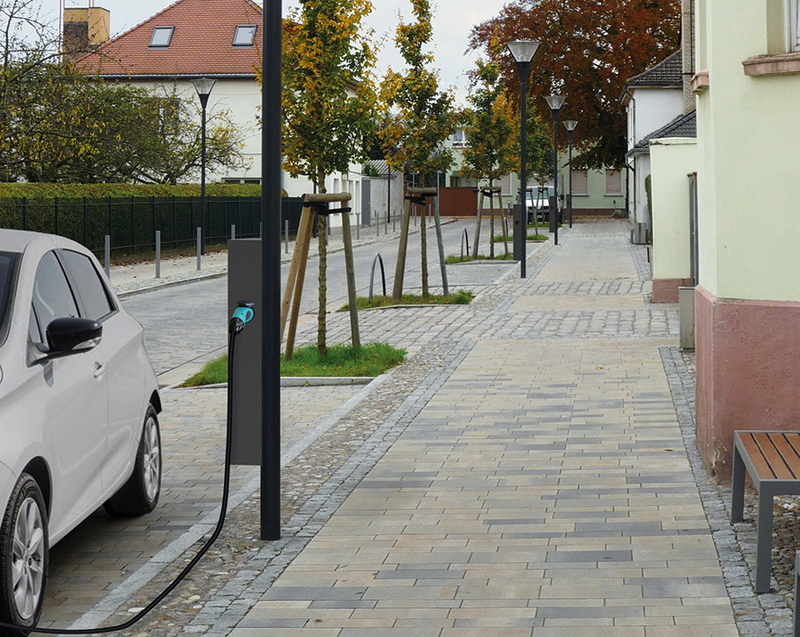 Then, the charging socket for type 2 will be unlocked and locked again after inserting the charging cable. 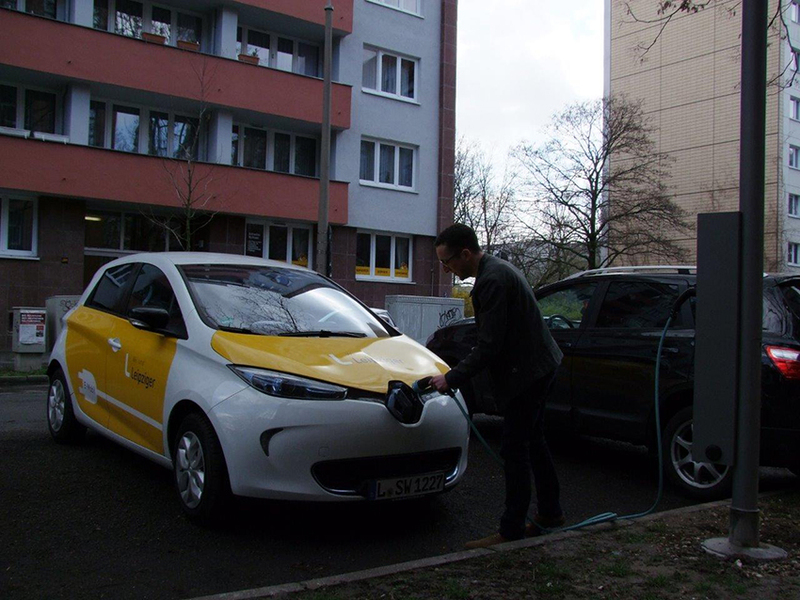 Only after release of the driver, it is possible to unplug. 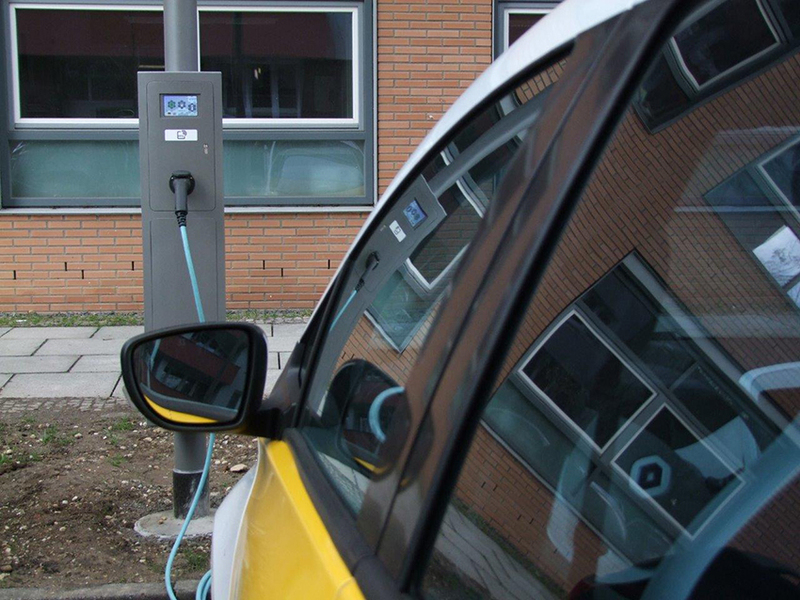 The charging stations are available with one or two charging sockets in order to charge two cars at the same time. 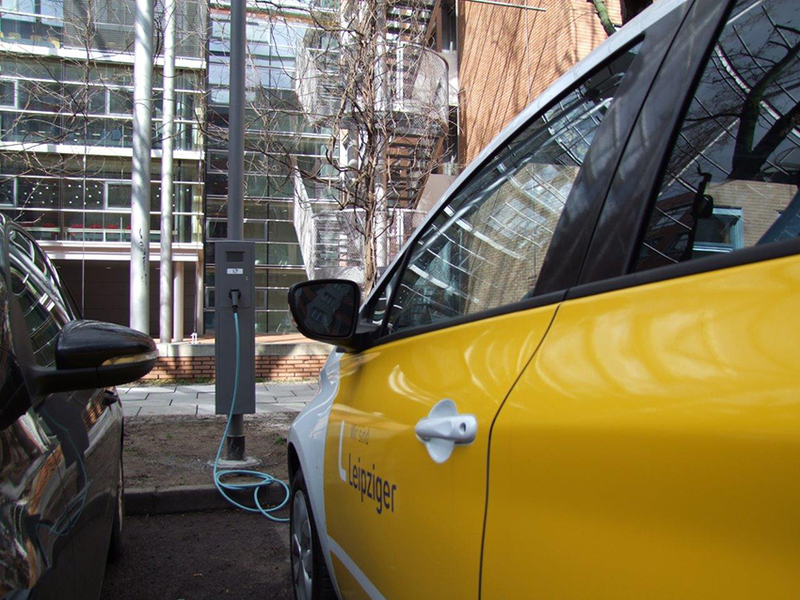 For your use and inspection, the charging stations KARSTEN are installed in Leipzig, Mozartstraße.